Date of the conference: 19-20 September 2018. Location of the conference: University of Pécs, Ifjúság street 6, room A329. 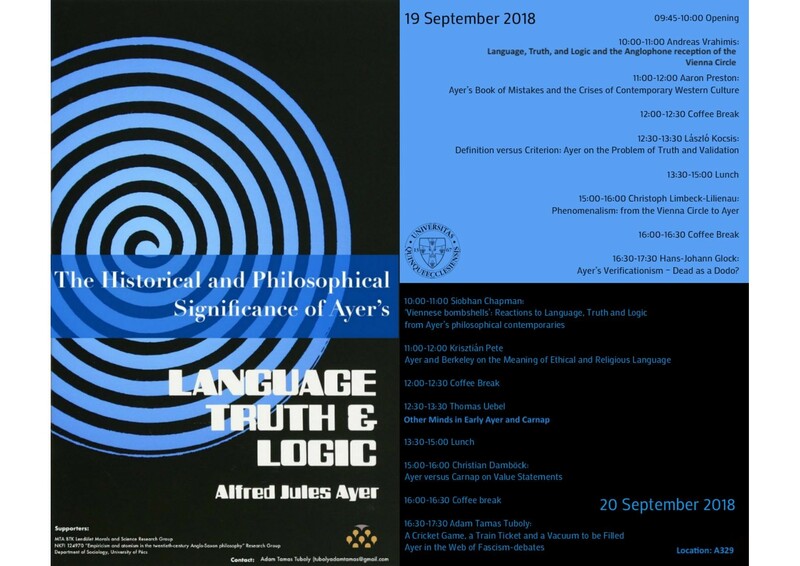 16:30-17:30 Hans-Johann Glock: Ayer’s Verificationism – Dead as a Dodo?